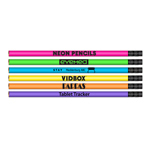 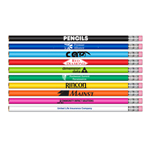 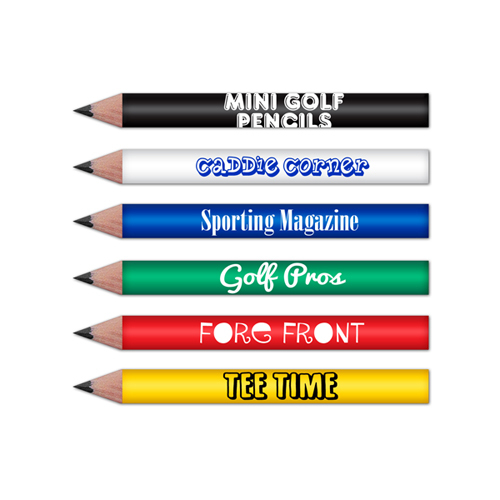 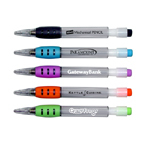 Our Mini Round Golf Pencils with #2 HB Lead feature Classic Barrel Colors in Black, White, Blue, Green, Red and Yellow. 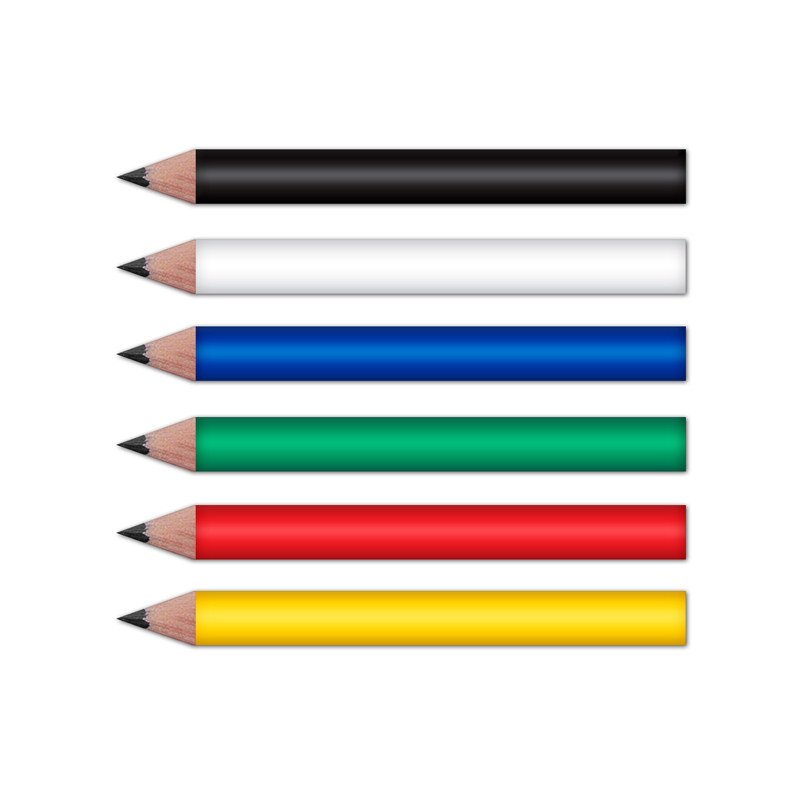 Color Selection: Black, White, Blue, Green, Red and Yellow. 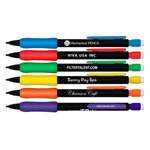 Barrel Imprint Area: 1 1/2" x 11/16"
Packaging: Bulk 1,000 @ 9 lbs.